Iñigo Pascual, The Son of Piolo Pascual Officially Enters Showbiz via Leading in His First Movie! 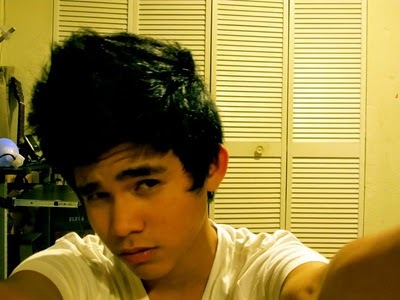 Iñigo Pascual, the only son of the Ultimate Heartthrob Piolo Pascual officially enters the showbiz world! The 15-year old boy leads in his very first Indie Film! "Relaks, It’s Just Pag-ibig," is the title of the said film which also stars the Star Magic teenstars Julian Estrada and Sofia Andres. It was co-produced by Spring Films, the production outfit of Iñigo’s dad, Piolo Pascual. The movie is under the direction of Bb. Joyce Bernal, the movie director of all the Piolo's self-produced movies like the "Kimmy-Dora" series. Actually, this is not the first time that Inigo was seen in showbiz. We may recall that that young heartthrob also appeared in Piolo's TV series "Dahil Sa Pag-Ibig" as one of the seminaries and in the music video of the Star Magic 20TH Anniversary.